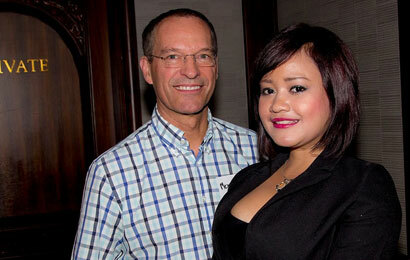 Avail of the singles event now to meet worthy single Asian ladies for marriage. Tired of waiting for the right woman to marry? In dire need of a lovely bride to cherish forever with? Expand your dating opportunities by exploring what’s beyond your borders. Choose to get acquainted with one of the world’s largest and respected foreign singles introduction and tour services---My Mail Order Bride. With vast options in choosing which race to marry, taking into consideration the list of our gorgeous Asian brides is of great importance. These single Asian ladies have exotic-looking facial features, petite posture and sun-kissed skin tones. Their bodies may not be that competitive with that of European women, but their physiques are sculptured enough to be the real stand-outs of both beauty and attitude. These are, by far, the glaring reasons that make them the best brides in the world. 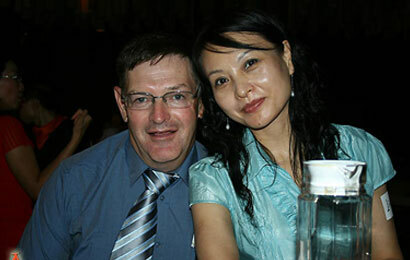 When you decide to marry an Asian woman, you can expect to have a lifelong happiness and long-term satisfaction. These women can surpass what you’ve been thinking about them. She does not only commit herself to you but tries her best to become an ideal wife or mother. She is a strong-willed woman who respects you and does everything that will satisfy you. Above all, the trait which makes Single Asian women lovable is their sense of responsibility--- both on relationships and marriage. Now, let us deal with some of the best qualities these Asian women seeking marriage are known for. Charming and Intelligent. Aside from being gorgeous, (which others consider as not new anymore to many men), you’ll surely get more envious with how clever these Asian women are. Their countenances are explicit enough to say that they are uniquely good-looking and intelligent ladies. They are professional and smart individuals with good mirrors in replicating respect and good education. Experience the fun of our singles event and meet beautiful girls now! Family-Oriented. Family is central to any Asian woman’s perspective. This trait signifies that the center of their traditions involves love and respect for the family. An Asian woman makes sure that HER family is well-nurtured with evident affection and reliability. Asian ladies put their family’s welfare above everything else. Devoted. Trustworthiness and loyalty are not new anymore. This should be your basis once you decide to marry an Asian woman. Asian wives devote and commit themselves to their husbands, thus making them submissive as well. Their faithfulness to their partners allows them to be marriage-worthy individuals. Marriage-minded. Marriage is sanctified well by these women. These ladies do well in nurturing their marriages where infidelity is never an issue. They are well cultivated by their traditions and culture. They are being taught on how to handle relationships well, most especially marriage. Family Over Career. Asian women for marriage believe that family should be on top of their list. Their marriage is more important to their career. While it’s considerate to say that money is also important, they make sure that there is sufficient love given to their family. This is one of the reasons why they are chosen to be someone’s partner. Age doesn’t matter. Women in Asia prefer marrying men of age. They like to get acquainted with older men who are responsible enough in handling relationships. Immature men are a total turn-off for them. Conservative. This is probably the hitting fact why American men prefer dating Asian women. While being liberated is already a sounding fact to these foreign women, still, the traditions they have in themselves molded them to be mature and conservative individuals, even pure before their marriage. Career Over Family. Career is a sole aspect that Westerners love to have before marrying. They pursue good lives first before attaching themselves to a serious relation, and that is marriage. They feel obligated to throw material things and acquiring money before settling down. Age does matter. These ladies date men of their age. They like to go to parties; this is why they prefer to have escorts of their age. This is one of the reasons why mature men choose to date those who accept them despite of their age. Big, Luxurious Weddings. This will cost you a lot of money. Women of Western influence love to have big and luxurious wedding, even grand receptions. They tend to request special events for their engagement parties and even rehearsals. Join our singles event to hopefully meet your future bride! For Thai women, ‘sin sot’ is being observed. This is commonly known as dowry. In this country, the more dowry you can offer, the higher your chance will be in getting your preferred woman for marriage. This act is in line with Thai culture; thus, it’s better to have a knowledge of such. All of the things written here signify the true worth of Asian mail-order brides. They are marriage-worthy and their attributes are given out for your advantage. Moreover, you should get in touch with the best Asian marriage agency to successfully find that special Asian lady for pure and lasting relationship.